The Williamsport Crosscutters are now accepting applications from area non-profits for the 12th Annual Hot Stove Dinner & Auction with the Phillies to take place in January. The event features guests from the Philadelphia Phillies along with other local sports celebrities. A portion of the proceeds from the evening are donated to a local non-profit each year. Local non-profit agencies who wish to be considered must complete and return a short application by November 17, 2017. The application is available online atwww.crosscutters.com, at the Cutters offices at BB&T Ballpark or by emailingsarah@crosscutters.com. A guest list and ticket details regarding the annual dinner will be announced in the coming weeks. 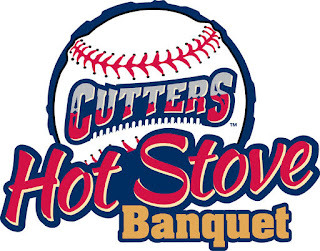 Businesses wishing to receive sponsorship information for the event may contact the Crosscutters at (570) 326-3389.